Mannerheim wrote his memoirs during the last three years of his life. This two-volume work, which has been widely read, has had a decisive effect on the image of Mannerheim to the posterity. As is the case with most statesmen and prominent persons, writing the memoirs was not an easy and straightforward task to Mannerheim either. He had several assistants, the most important of whom was Colonel Aladàr Paasonen. Emerik Olsoni, MA, and General Erik Heinrichs also made considerable contributions to the work. It was often Mannerheims only task to check and work up the texts written by others. Mannerheim had been urged by his friends to write his memoirs as early as the 1930s, but he was too busy to take up such an extensive project. It was the Winter War that brought Mannerheim into the awareness of the world at large. Requests for permission to publish the memoirs began to pour in, but Mannerheim was too occupied with military operations during wartime to be able to dedicate his time for literary work. Mannerheim made the final decision to write the memoirs immediately after the signing of the Agreement of Friendship, Cooperation and Mutual Assistance in spring 1948. It was his purpose to show the western world how difficult the situation had been for Finland during the Second World War and after it, and to gain sympathy and understanding for the decisions made. In Mannerheims view, the aggressive Finland policy of Moscow more and more clearly indicated the Soviet intentions of turning Finland into a Bolshevik country. Therefore he considered it his "duty to present to the political and policy-making world his memoirs". To balance the international position of Finland, Mannerheim wanted to show the western world that Finland was part of the west and the Nordic countries. In the Winter and Continuation Wars Finland had defended her own rights and aims, and fighting together with Germany in the Second World War was not her own choice. Accordingly, Finland should not be abandoned on account of that. Mannerheim wrote his memoirs for the western audience in particular, and they were being translated into English during the writing process. Shortly before his death Mannerheim had plans to publish the chapters concerning the Second World War as a separate volume at once, but gave up the idea, because it would have made the marketing of the entire work more difficult. Until his death, Mannerheim held to the view that the possibility for Finland to live in peace with the Russians was an illusion. Russians know how to wait. They would not long be satisfied with the peace arrangements, but would sooner or later stage an action against Finland. In that situation, Finland would need both internal strength and support from outside. Mannerheim wanted to explain to the Finns what solidarity and the will to defend  including military preparations  meant. That is why he also made clear that his activities in the social domain were important in the creation of national unanimity, and blamed the governments and parliament of Finland for holding back the defence appropriations in the 1930s. It was his purpose to encourage the Finns to show pride in their achievements. As regards foreign policy, an impending cloud was hovering over the memoirs. Perhaps the image the Finnish wartime leader gave of the world would not appeal to the winners. Mannerheim was willing to write about delicate matters of foreign policy with consideration. In January 1950 he promised Paasikivi to put his writings in a milder form, but he never gave up his basic guidelines. Time and time again, and even on his death bed he said that the truth had to come out. 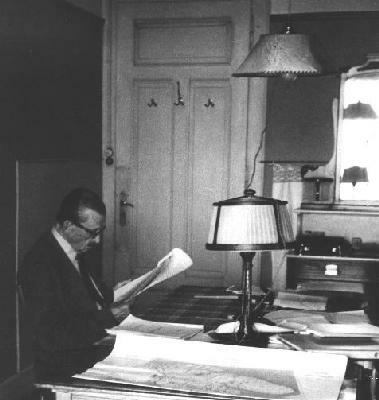 After Mannerheims funeral (in February 1951) The Finnish publishers of the book and Mannerheims assistants came to the conclusion that Colonel Paasonen should be assigned the task of checking the details and putting them in a form that would tally with the thoughts and idioms of the Marshal. Paasonen dedicated himself to this task so well that much of Mannerheims influence and imagery was filtered into the text. When the volume came out of the printing press, it could be seen that Mannerheims mouth had not been shut, but that his voice had been considerably dampened. Mannerheims memoirs are an expression of the line of thoughts of his later years, but their political influence may not have been as great as had been hoped for. The Western Powers made no attempts to change the power balance in the Nordic countries. Nevertheless, Mannerheim greatly contributed to the feeling of self-esteem of the Finns during the following decades, both through his memoirs and as a symbol of unity in times of war.